３．A randomized, pilot study to assess the efficacy and safety of curcumin in patients with active rheumatoid arthritis. ４．Curcuminoids enhance amyloid-beta uptake by macrophages of Alzheimer’s disease patients. ５．Efficacy and safety of curcumin in major depressive disorder: a randomized controlled trial. ６．Monograph. Monascus purpureus (red yeast rice). Alternative Medicine Review. 9.2 (2004):208-10. ７．Chinese red yeast rice (Monascus purpureus) for primary hyperlipidemia: a meta-analysis of randomized controlled trials. ９．Effect of garlic on serum lipids: an updated meta-analysis. 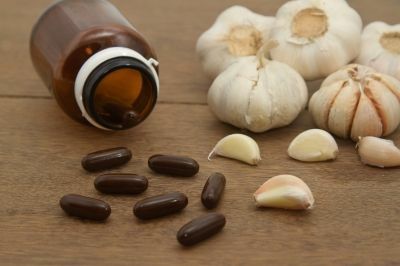 １０．Preventing the common cold with a garlic supplement: a double-blind, placebo-controlled survey. １２．Treatment of type 2 diabetes and dyslipidemia with the natural plant alkaloid berberine. １３．The effects of berberine on blood lipids: a systemic review and meta-analysis of randomized controlled trials. １５．Influence of berberine sulfate on synthesis and expression of Pap fimbrial adhesin in uropathogenic Escherichia coli. １６．Anti-Alzheimer and antioxidant activities of Coptidis Rhizoma alkaloids. “Image courtesy of [ by Praisaeng]/ FreeDigitalPhotos.net”.